When the headlines in national papers about our thriving favourite place, read “Cork City Council slammed for spending €300k on rebranding design that’s similar to three other logos – and slogan has already been used too” you just get a little bit frustrated. This same topic has been played out in local papers and on local radio as well as these national papers and it is really unfortunate as it comes from a great, positive, progressive decision from the various players in the region to come together and market our fantastic region as one. The stark truth is we have to pool our resources and market as one, to avoid confusion, to achieve some consistency of message and to have any chance at all of making an impact in a competitive world where we are in the mix against much bigger regions with much bigger budgets! 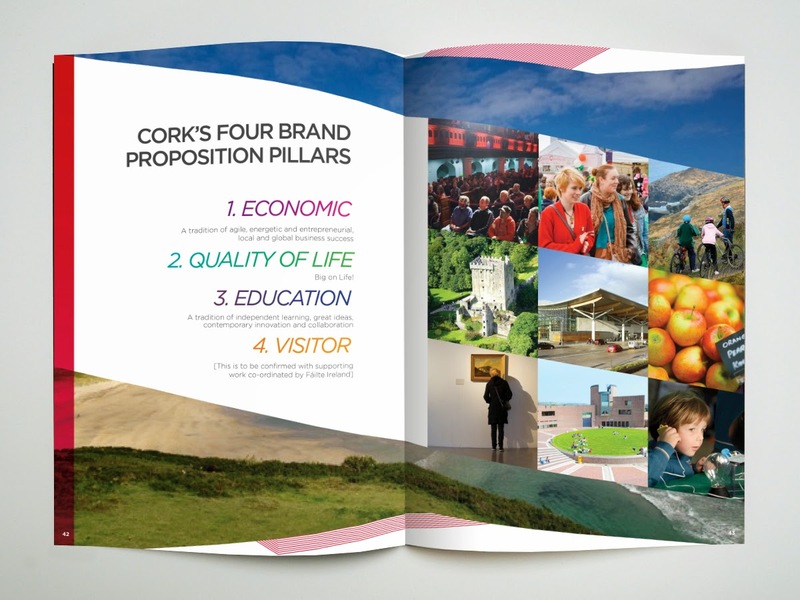 I need to be very transparent here and tell you, the reader, that we were the local partner who worked with a talented team led by Roger Hobkinson from Colliers International in the first phase of this work, which delivered a ‘Cork Brand Book‘ for the region. This really is a confusing area, and when I heard Pat Ledwidge from Cork City Council and Derry Cronin of Cronins Coaches trying to explain on mainstream radio about the investment in a ‘Place Brand‘ you have to forgive the respective DJs for not being able to understand what they were talking about and furthermore why all of this “stuff” seems to cost a large sum of money – to them and the general public, this just doesn’t make sense. A strong communications strategy needs to be part of this work (that’s where we come in folks!!) to ensure that the work and investment is understood by everyone, but even with this it still is a little complicated as people just don’t and won’t get it. A brand is a logo….right? During the course or our work we explained to all of our audiences that the brand book was not and would not be a logo. The brand book was the presentation of the “true story” about the region in a way that we felt would resonate with target audiences – for our work this audience was people who wanted to live in Cork, work in Cork, invest in Cork or start a business in Cork. Our process was simple but yet very complex – we analysed the different audiences in the region to understand what were the attributes, the hard and soft things that they said made it a special place to live and do business in. 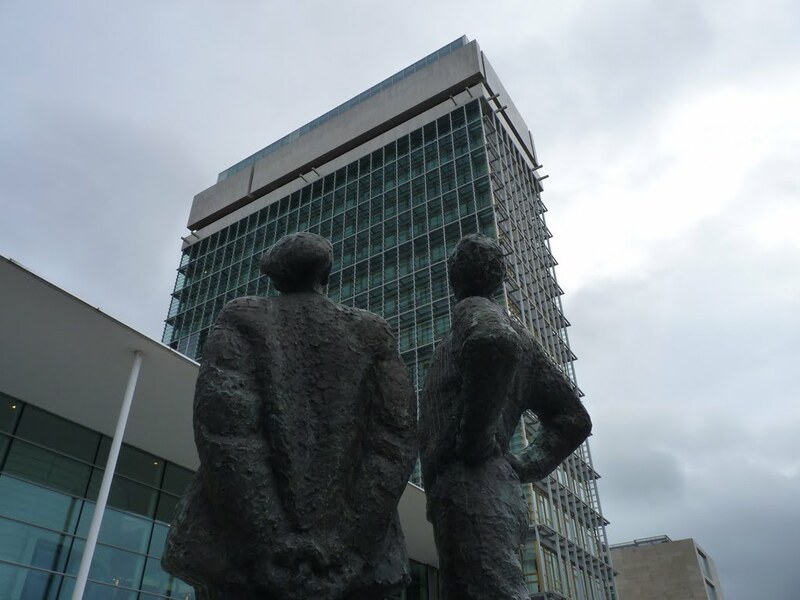 We researched the large FDI companies, the small start ups, the people from overseas who decided to make Cork their home – what was it about this special place that made them choose here and how could we weave this story to others in a way that made it a compelling proposition to them? When our research was done we gathered all of those special attributes about the region and it was our role to collate and shape these so we could package them and ‘tell the story‘ in a way that would resonate. When we had this ‘story‘ about the region drafted we tested it extensively with our audiences both in Ireland and internationally to see how it resonated. 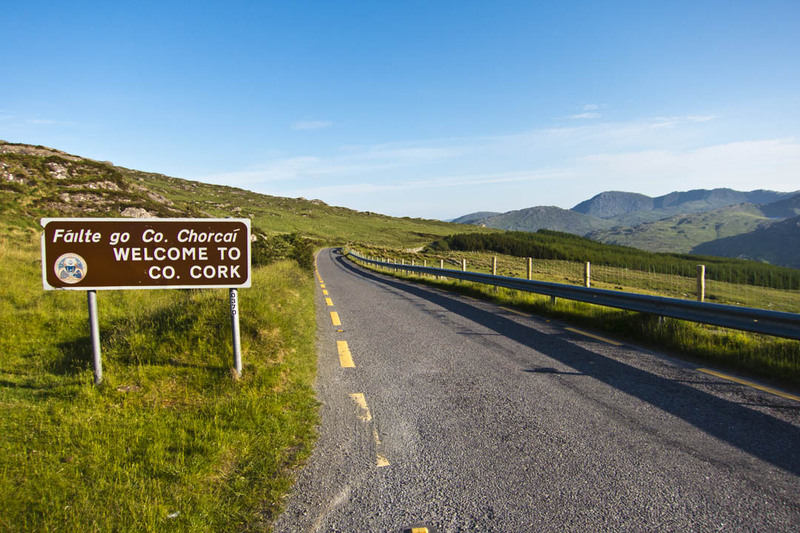 Is the story we are telling about Cork compelling to you? Would you invest or want to work and live in a place like this? 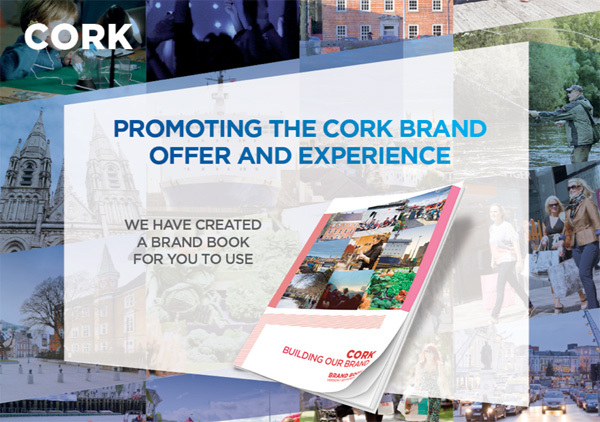 The result of this work was ‘The Cork Brand Book‘ which is still available to download and this outlines what we believe is special about the region and it is shaped in a way that is designed to resonate with our target audiences. The simple idea once this work was done, was that all stakeholders when they are talking about Cork or describing it in their own marketing materials (website/brochures), would use this language – if all stakeholders talk about Cork in the same way then we will achieve synergy and a consistent message with audiences. The process above took months with a team of us conducting research, facilitating workshops, meeting stakeholders, executing surveys, compiling findings and then writing, designing and testing along with many meetings with the client. The process takes time to do it properly and this does cost money and we didn’t even get to design a logo!! 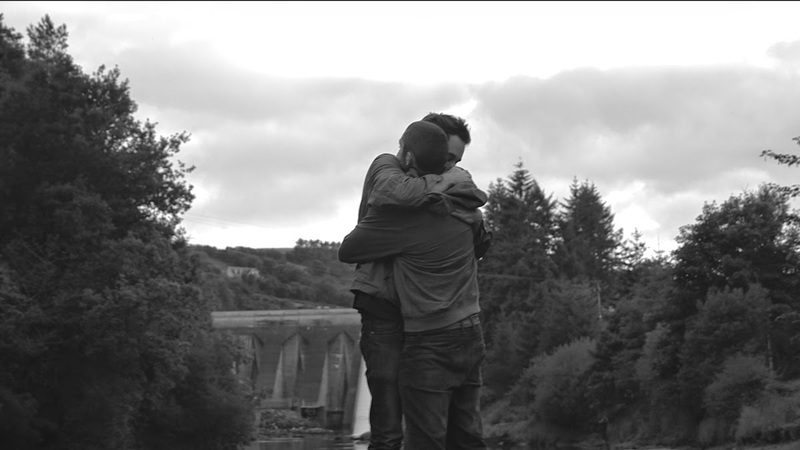 As a passionate Corkonian I was privileged to work on this project and for months there was an extra skip in my step in the realisation that we lived in a very special place and this was played back to us clearly by the many people, not from Cork but who chose to live and work here because they loved it. The controversy in the papers and on the radio about “expensive logos” and confusing brands was about Phase 2 of the Brand work. Unfortunately our team (pretty much the team that did Phase 1 with one or two others) narrowly lost out on the tender for this phase and I must admit I was disappointed at a business level but I was gutted as a Corkonian. I’m passionate about this beautiful, diverse region and I was really sad to see the contract going to others. The tender assessment committee had a tough job and had to apply their criteria and at that time they decided that someone else was more qualified or skilled to take on this contract than our group. We haven’t been involved in any of the process (I did offer!!) since our phase was completed so I can’t really comment on the work that has been completed but I can comment on point 1 above, which was the bringing of the brand to life – this is the website and the ‘We Are Cork‘ campaign. 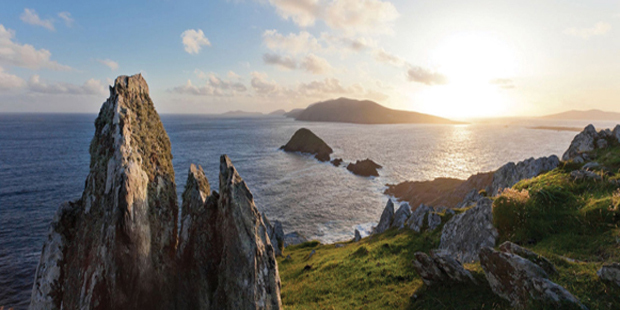 The website features some great photography (this should bring the authentic stories to life for the reader) and compelling copy, which should tell the story of the region in a convincing way – the Cork Brand Book that we produced should be a good reference point for the content. I think the website does a good job at delivering the messages of the region. 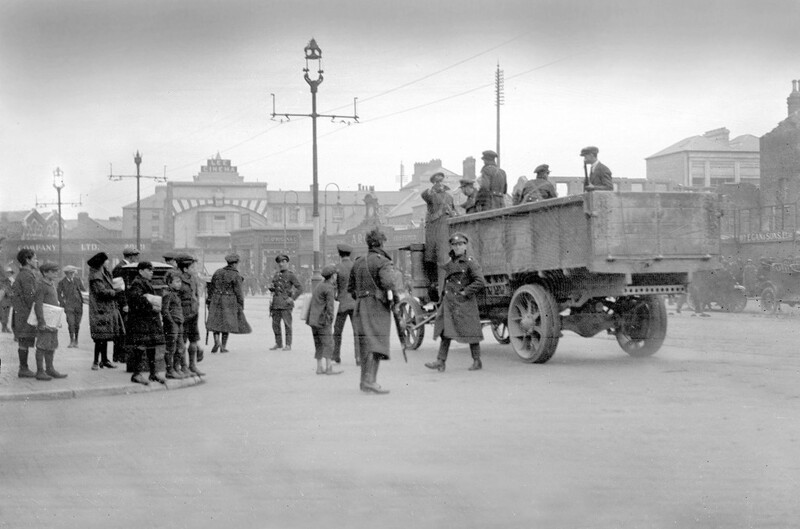 The ‘We are Cork’ name and logo (Collectively, The Brand Identity) were also devices developed as part of the work, which seems to be the part that has attracted all of the controversy with the media and the public. These should convey a modern, vibrant, welcoming place with a warm, original heart – ‘Quality of Life‘ was without doubt the number one attribute that people loved about the region and this is something that the brand identity should try to convey. Design is a very subjective area so I am not going to comment about the work here and I will also pass on the name for the same reason – I’m sure the team did their research and were satisfied that of the options they developed these were right for the purpose they were intended. However, I don’t believe that the Place Brand ‘We Are Cork’ is for general consumption (a consumer brand) so I feel that part of the confusion was caused by seeing this appearing on signage around the city – this should be reserved for the consumer facing, Visitor brand, which in this case is ‘Pure Cork‘. Unfortunately when you are explaining you are losing, and while it is easy to understand the reason for the different brands it does confuse these audiences when they see both brands and not the one that was intended for them. Of course a logo didn’t cost €300,000, but unfortunately when you can only show people a website and a logo as the tangible results of the work then the City and Country Councils are an easy target and it is difficult for them to start talking about the value of developing a ‘Place Brand‘ in a way that the regular reader or listener will understand as I have already mentioned. The most important thing now is that the work continues and that the other aspects of this phase of the tender come to life with tangible initiatives that promote the region to the target audiences. As someone involved in the tendering process for this promotional phase it was clear that the budgets were very challenging and the region would have to excel with online promotion (it’s feasible on a tight budget) and it would have to be very laser focused as to the activities that it could realistically engage with. More phases will have to come and these will require significant budgets if the region stands any chance of making an impact with audiences overseas. I sincerely hope that all of the stakeholders stay brave, stick with the course and continue to invest in the promotion of the region. This will involve working together, pooling the limited resources, harnessing the passion and energy, choosing some clever, laser focused initiatives to invest in and then letting it all happen! 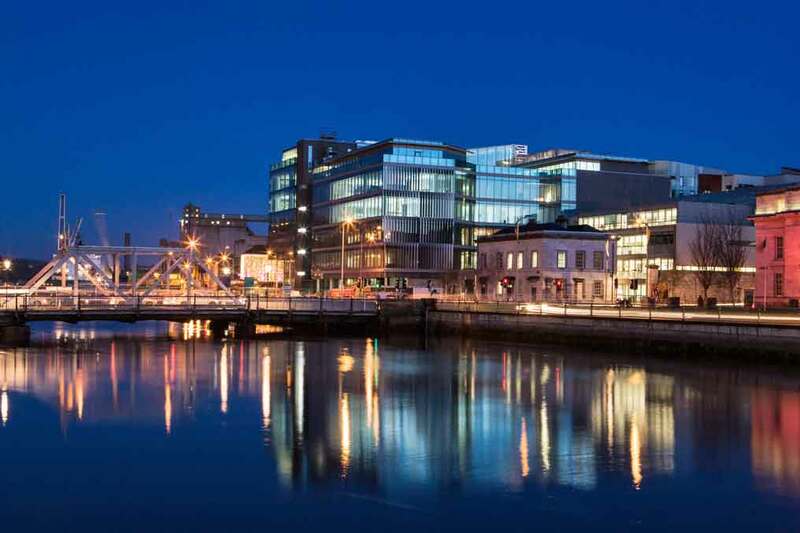 Cork is a very special place with a very special story and it is a great place to work, live and visit. 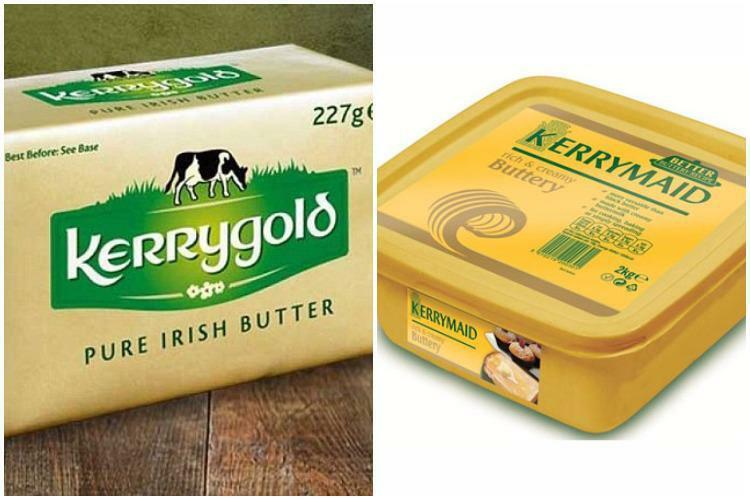 Do we have too many conflicting and confusing brands? We have one brand, it is called Cork and I love it. 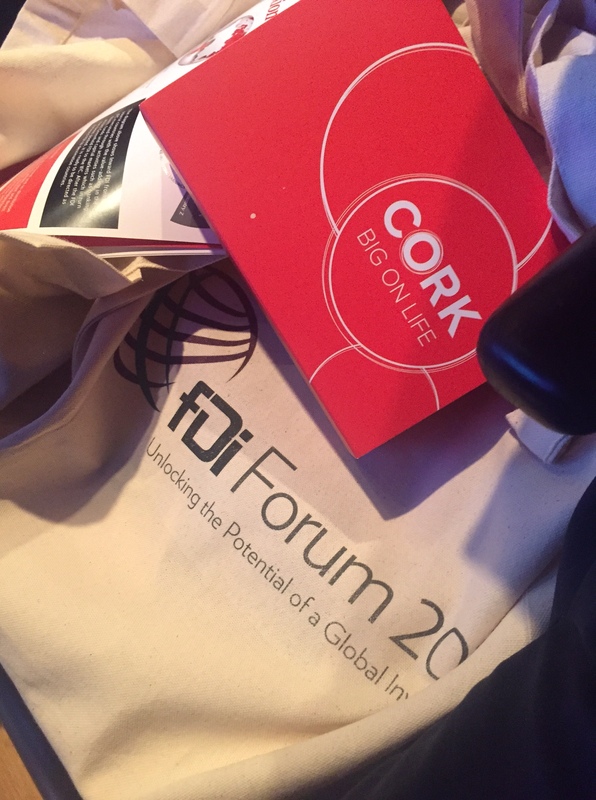 We were delighted to have won the tender with Cork City Council to support them with the sponsorship of and participation in the FDI Forum in London, which was run by the Financial Times. For me it was a great opportunity as we had been a key part of the work on the Cork Brand Marketing team, which involved literally all of the Cork stakeholders who wanted to market Cork with one consistent voice. This forum was the first expression of this work where we were able to use findings and language from the Cork brand book that we helped to develop. With all marketing you need to do your very best to deliver a clear message that helps you to stand out in some way. 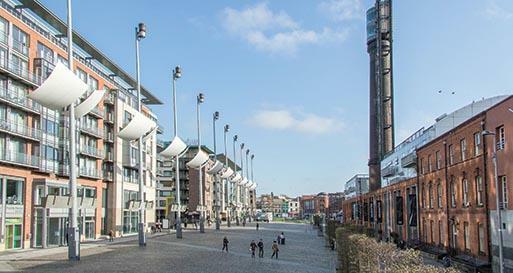 From our work it was clear that Cork is very attractive for business as it works Economically, there is a strong, well educated Talent Pool, it has an abundance of great things to see and do (locals and tourist offering) and the Quality of Life is second to none in our fantastic region. This is a ‘perfect mix for business and personal success‘ with a special emphasis on the person. 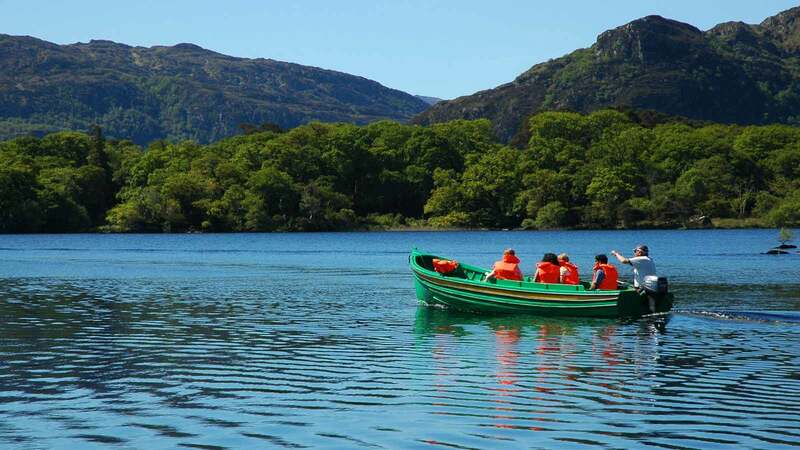 You can achieve your career and business goals in Cork and at the same time enjoy a fantastic quality of life. This for us was the extra special, stand out ingredient that Cork has to offer and even though our region is relatively ‘small‘ we have quality of life in abundance. If you were to use a tagline to highlight this most special characteristic about the Cork region then ‘Big On Life‘ might just be it! Brochures and other marketing materials had to be prepared and printed so it was first time we could give our ‘Big On Life‘ message a test run. A strong contingent left for London including senior people from Cork City Council, Cork Chamber, Cork Airport, Developers, and significant businesses all with the intention of flying the flag for Cork and attracting foreign direct investment to our special place. Cork Chamber organised a dinner in London to bring this team together and to invite some key members of the Cork business community in London (the IIBN network) as well as officials from the IDA. Cork Chamber president Barrie O’Connell made sure that everyone introduced themselves to the group and then quite cleverly sparked off a conversation about Cork by asking a few people to speak on a topic. This generated a huge and very fascinating ‘Cork‘ conversation about a wide range of topics and issues and helped for all of us to hear different perspectives and to learn. Michelle Conaghan of the IDA gave us an insight about how they work and their challenges and how competitive the market is. She spoke about the importance of sector clusters, which is important for a talent pool but she also mentioned that the ‘life‘ package is important. We learnt from the Irish guys working in London about how expensive it is and how global businesses must look at other locations. Donal Sullivan of Tyco spoke about evolution. Years ago they reduced their numbers in Cork for cost reasons but now the nature of their work is different so Cork is relevant again. He is on a huge recruitment drive and he says the talent pool in Cork and Munster is great but most interesting is the ease of getting people to relocate from Dublin. 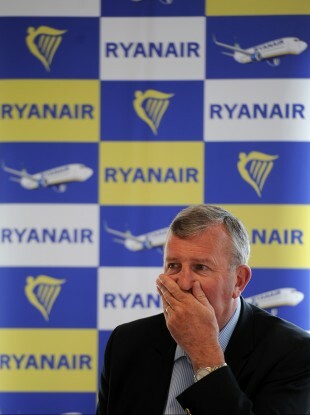 The Cork operation is the best performing one globally from a staff retention point of view – I wonder why?! 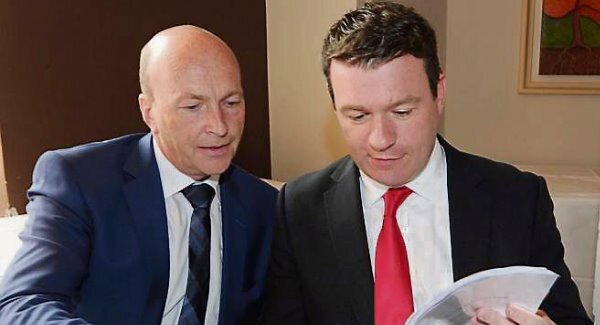 Cork Chamber president Barrie O’Connell spoke about tax advantages nearly being gone and it is the other factors that must now come into play to attract investment to Cork. Cork Chamber CEO Conor Healy spoke about the need for ‘ambassadors‘ who will spread the word about Cork and that we should focus on the positives with Cork Airport, the good news and the potential. He is right. Niall Sheehan, Head of Property from Dairygold who have a huge office development about to start in Cork spoke about the compelling facts about Cork and that we should be more confident about the strength of our offer. Roger Hobkinson (the adopted Corkman!) 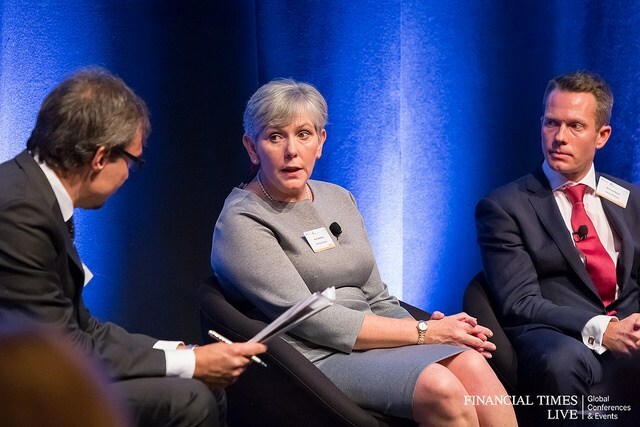 from Colliers International who led the Cork Brand Marketing project spoke glowingly about participating in activities such as the FDI forum as a vehicle to promote Cork and bring the brand book to life. He also spoke about the importance of urban locations as being key when promoting a region. Jonathan Grey (who is very excited as he has bought a house in Cork) of the IIBN who is working and living in London spoke of competition for FDI from regions in Scotland, England and Wales. 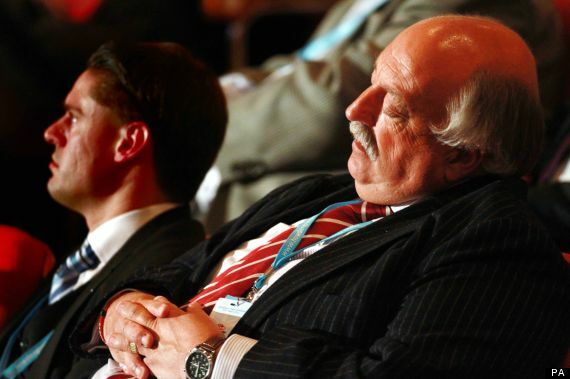 The new London flights to Cork will be an advantage. 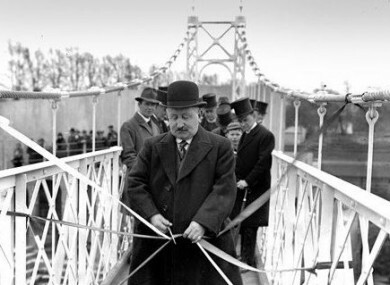 He coined a fantastic phrase “you can live in Cork and do business with the world” – I love it! We heard from John Cleary of JCD about the key messages that he uses when he is attracting American IT companies to Ireland. 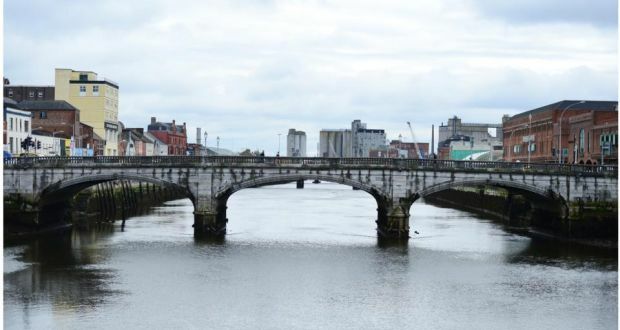 Lower cost is a big advantage in Cork but quality of life means that staff retention rates can be a lot higher, which is another big selling point. From his conversations connectivity to the U.S. is a big deal so the recent announcements about Cork Airport are very welcomed. 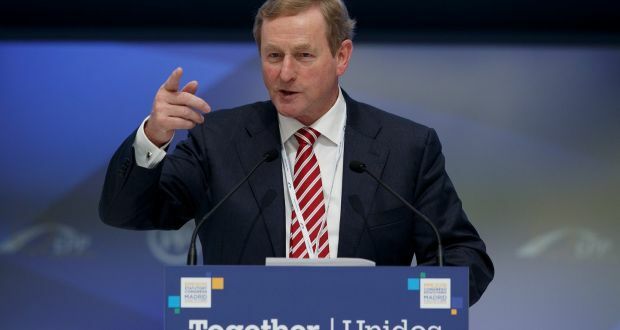 He also stated the obvious about Ireland – “people will look at Dublin first”. 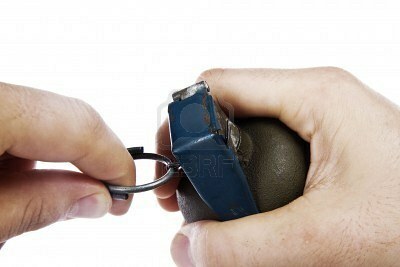 Cork is a very viable and compelling alternative. Theo Cullinane of BAM (a Cork sports star with some unique achievements as we discovered!) also spoke enthusiastically about the super quick work they are doing at One Albert Quay for JCD. This will be an office development with the best specification in the country, which is what new companies are looking for. Pat Ledwidge from Cork City Council who led the participation in the FDI Forum spoke about how Cork, now has “product to sell” so it must gear up its marketing efforts abroad. Ann Doherty, Chief Executive of Cork City Council emphasised the cost advantages of Cork as well as the quality of life aspects. 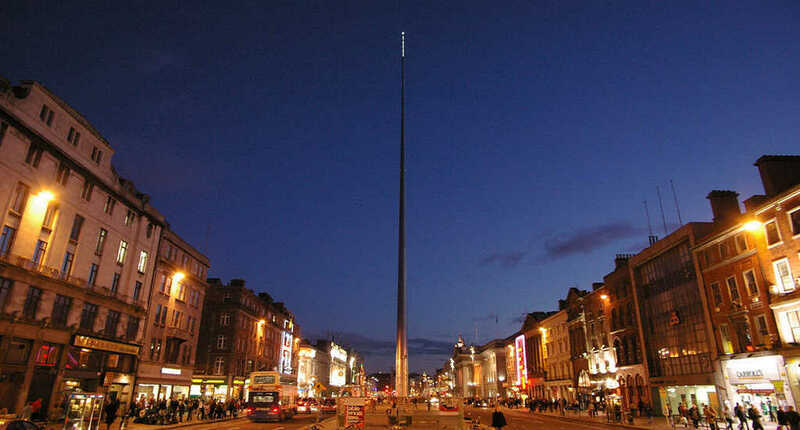 Of course I had to get my few words in..
Dublin is a fantastic city with lots of advantages but it is heating up and it is starting to get quite costly. Cork presents a different and very compelling offer “The Cork offer makes the Ireland offer a lot stronger“. The engaging conversation bounced from one side of the table to the other with each person talking enthusiastically about our ‘favourite place‘ until the restaurant staff politely gestured that it was getting late … it was past midnight! Reader ..bear with me for a few minutes as I talk about goodie bags – this is leading somewhere! We wanted to leave delegates at the FDI forum with something different than the usual flyers and brochures. We decided that we would place a ‘Cork – Big On Life‘ box in each of the delegate packs instead of the normal so they would remember us! We had handmade sweets from Cork, postcards and a few other little bits and pieces all to go in our ‘Cork Big On Life box‘. While this was a great idea it did however mean ‘Big on Hassle‘ as the boxes had to be assembled in London (no short cuts I’m afraid!) and filled. Elmarie McCarthy from Cork City Council selflessly took responsibility for this monumental task along with everything else that she had to coordinate and her bedroom became a mini production line in the early hours of the morning (there was no access to the conference venue beforehand). After the meal and the networking the Cork team that were staying in the same hotel took responsibility and pitched in and assembled and filled these boxes until 1:30 am. Well done to Ann Doherty, Pat Ledwidge, Conor Healy and Barrie O’Connell for jumping in, simply because a job had to be done. The next morning there was a repeat performance – the Cork ‘Big On Life’ boxes weren’t going to magic their way into the delegate packs in the short window of time that was available before the event started – there was no standing on ceremony and our leaders took responsibility once again, got to the venue early, jumped in once again and quickly did the job that was needed. I did help along with Roger from Colliers. 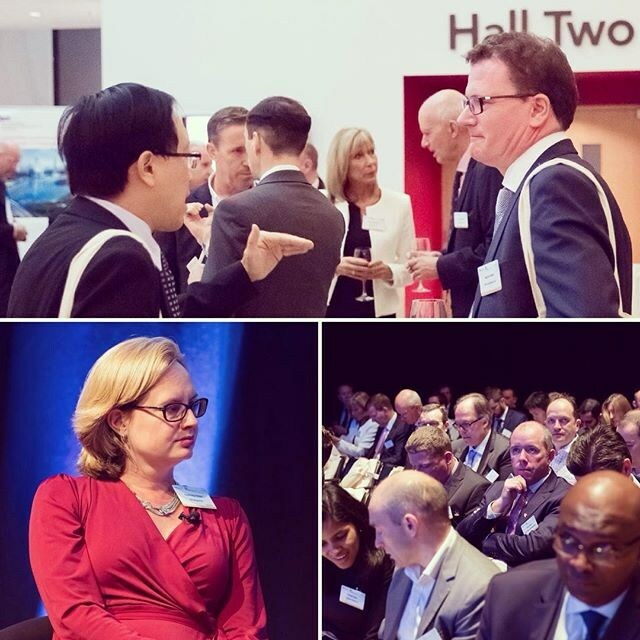 This was a fascinating day with a huge array of speakers and panelists as well as fantastic networking opportunity. Cork were there in force joined by Denis Collins of Smarter Dynamics, Kevin Cullinane of Cork Airport, Malcolm Allan from Place Matters (our destination branding guru who was fantastic to work with on the Cork Marketing project) and Doug Howlett from Munster Rugby all chatting to delegates and spreading the word. Cork was there proudly promoting ourselves along with other places such as Essex, Tblisi, Cyprus, Jersey, Melbourne, Lousiana, Singapore and Qatar. I had an interesting chat with a delegation from Essex – they have a team of five people working for them proactively in the marketplace seeking opportunities as well as a Marketing/PR team supporting the communications of their message. They take a sector by sector approach and have identified four different ones to target. Promotion of your region is now sophisticated, big business and if we want these opportunities to come to Cork we need to gear up. Ann Doherty represented Cork superbly on a fascinating panel discussion and I am convinced that she must have worked in sales at some point because she didn’t let one opportunity to slip by to highlight what we have to offer here! A lot of tired and weary Cork folk made there way to Heathrow airport to take the last flight home. 20 minutes after landing I was at home and I reflected on our little excursion (our airport is so incredibly fast and convenient). As a proud Corkman I was privileged to have been part of this work and if this FDI community hadn’t heard of Cork before they certainly did now. Cork did itself proud in London and all of our various stakeholders need to do much more of this together. Individually we are all ambassadors for Cork and familiarising ourselves with our Cork brand book is a great starting point to stay on message with what our region has to offer. The most impressive aspect of the London trip for me was the huge sense of pride and togetherness demonstrated by everyone, including our leaders and that willingness to take responsibility and do what was needed.